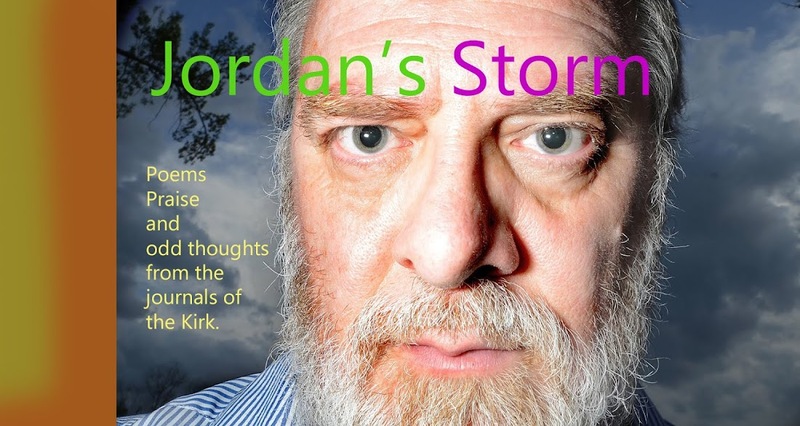 Jordan's Storm: Chicken or the Egg? The following "meditation is from a book that I started writing for my daughter (Many years ago, then I dropped the ball) -- in which I challenge (among other things) the idea that the "Cosmos is self existing, and not made." Today, Sun energy is diminishing – even as the matter on earth gets bigger! But before I go any farther here, I want to entertain a question you may have heard before. So which did come first? As is, there are probably several solutions to this problem. The first (which nobody has ever suggested) is that chickens and eggs arrived on the scene by totally divergent paths. Chickens arrived on the scene, without the benefit of any precedent eggs, while eggs arrived at the same time, without any precedent chickens. The two just got together and formed a symbiotic relationship and have been working together since. A second solution – also seldom advanced – it that chickens and eggs -- As chickens and eggs, are eternal. There has never been a time when the chicken/egg were not. the third or fourth possible solutions are a little easier. Now of course, the solution to this riddle wasn’t meant to be as easy as those answers. Metaphysical questions don’t persist by having easy answers. What is really being asked is a larger question about things with starts. But first, lets go back to reconsider the basic problem. Both the chicken and the egg as things, represent a “cause.” -- And a cause is something that gives birth to effect – In fact, a cause without an effect would not be a cause, an so, while cause precedes effect, it can not be divorced from effect. The two notions occur as a unit- spread across time. Likewise, both the chicken and egg are an effect; That is, by virtue of their existence and activity, we ascertain precedent cause. Furthermore, it would appear that that Chicken and egg exist in a circular relationship with each other, both being for one another a cause and an effect. BUT THIS ILLUSION, or ERROR – unless we speak of chicken-kind and egg-kind as opposed to individuals. For no chicken has ever laid the egg that gave birth to itself, and no egg has ever become the chicken that should lay it. So, the thing which appears at first a riddle is less so – what we have here is not an eternal circle with no start – but a slinky. So now – the real question. Does the slinky that is chicken and egg – have a start! On a smaller level, before you ever get to chickens or eggs, you must first come up with things like slime and water and calcium and bugs and corn and dinosaurs and dinosaurs that jump off of cliffs (including some that survive the leap for the flaps on their sides) and DNA and such. And before that, you must first come up with stuff. Which puts us at the very start of the problem. Is it possible to have stuff without a start? Or, To say it another way, which came first … Nothing, or an eternal something? If everything came from something that preceded it, then we would assume that cause (in some form or another) is eternal. On the other hand, if everything that is came from absolute nothingness, then we must be prepared to abandon, in TOTAL the concept of cause and effect. Make that reason as well. And that something, as a something simply takes us back to the start of the problem … either that something had a precedent cause, or it simply IS. Something from something, or something from nothing. Someone may object, and say that these problems are not owned by naturalistic evolution. In fact, the creation model that I advocate posits something of both difficult ideas. Something is eternal (namely God) AND, nature has “popped into being” out of nothingness … albeit by the will of God. The difference in a theistic system and a naturalistic system begins with a distinction in the character of the eternal “essence.” We are left with a sub-rational, or a super-rational idea: either, 1) that nature is self existing and its own cause, or 2) the ever living and infinite God who is above nature in every way, may initiate in nature, an effect without any precedent NATURAL cause. Some questions for matter-ists who affirm general reason. Does ESS possess, or initiate motion? If ESS initiates motion, has ESS always possessed the quality of motion? If ESS posses the quality of motion, is the motion constant, or does in vary in speed or duration? If the motion in ESS varies, what qualities would help define that variation? If the ESS knows variation within itself, is the cause for that variation within itself or without? (If the cause for the variation is within itself, is all cause that shapes the "cause" within the cause? … adinfinitum. Or, if the cause for the variation is outside of the system, how shall we explain the origin of this cause? Does the ESS posses the attribute of size or location? If the ESS possesses the attribute of dimension, what other quality or variable would the ESS be measured against to define its size or location? Is ESS Simple, or complex? If simple, has ESS been eternally simple? If complex, has ESS been eternally complex? Does the ESS posses the quality of differentiation? If so, has ESS always possessed "internal" differentiation? If ESS has always possessed internal differentiation, has that differentiation been subject to change? Has ESS ever changed … what would be the impetus behind that change? If The ESS knows change (on any level, of any kind) what precedent cause would account for the change? Does ESS possess the quality of growth? If so, what scale or item of comparison would allow us to measure it? Does the ESS in anyway posses any a pre-quality of any of these attributes? Does the ESS contain all (by way of a pooling of cause) that will go into the effects that are ourselves? Does the ESS contain (in some form) all that will go into our history, our lives, our likes, our passions, our morals, our art, our religion? – etc. Does the ESS contain the sum total of energy or matter that will be the Cosmos? *If not, we are back to the problem of effect (the existence of energy) without precedent cause. The "stuff" which preceded our universe in eternal. This “something” contains the sum total of energy that will be expressed in the universe. It is differentiated, and knows movement in itself, and has these attributes apart from any cause other than itself. The ESS contains all CAUSE for every thing that ever was, is, or will be. The ESS is, and was, and WIZ. Now at this point – it looks like we have something that is close (but far) from God. An eternal something, that has in it the potential for all that should be realized in time (given the mechanics chance and necessity) is .. more like God, than nothing. Some folks have stated that if we can envision that God, is eternal, why not matter? And I guess, expressed that way, neither is real thinkable .. both confound us … but when it comes to being loved, and being in love – or knowing that I am special, or even affirming that I am self aware – the idea that that which is without knowledge, that which is without life, or purpose, or plan, or dream … That which is without the simple act of being self aware – that which is without anything but what it is becoming … is utterly and absolutely unthinkable to me. Even an evolving god-in-all, of which I and my fellow strivers are its most recent incarnation -- dishes out the prospect that I alone am worthy of my praise – for no other being shall hear it and care. On the other side of this great chasm, is an idea (or a revelation) that the cause behind the universe is not less than --or equal to -- the universe, but greater than the universe in every way. Greater by virtue of power and knowing and presence and personality and goodness and beauty. Personality gives birth to personality. The infinite gives form, to multiple effects (or causes). Beyond that, the answer for Effect, that is found in CREATION, has about it certain simplicity. Chickens were created as chickens, or eggs as eggs. They came together – like a spring loaded trap, both ready to give birth to one another. The core idea behind creation is that God is larger than the system that operates under Him. The system contains power -- God is ALL POWERFUL The system contains information – God is ALL KNOWING. The system exists in space and time. God is larger than both.. Furthermore, God is FREE. He is not conditioned or forced to create. He does so most freely, apart from any cause other than that His own desire. Finally, As the First and Last, He is able to create multiple – almost infinite effects, without any precedent NATURAL cause.